This large house had not seen a tradesman since the 1970s and was, subsequently, something of a time warp. Our clients purchased the property for its location and potential, with the aim of creating a ‘home for life’, after returning to London from several years in business abroad. We procured permissions for the largest possible basement extension. 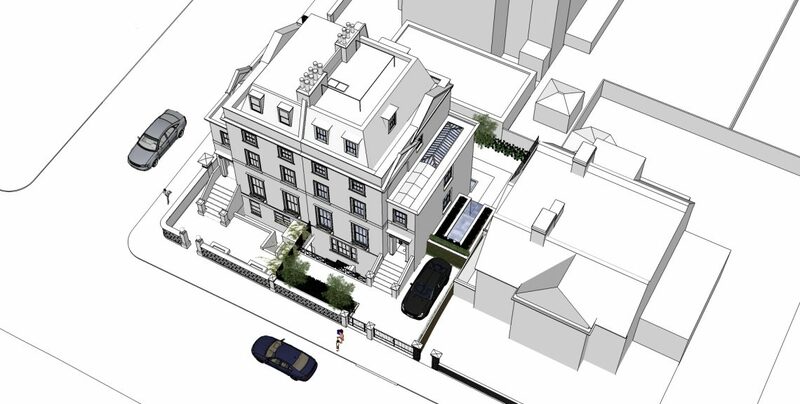 This will be one of the last of its kind in Kensington and Chelsea (the neighbours will be relieved to know) as planning policy has subsequently imposed strict limitations on the extent of subterranean development. 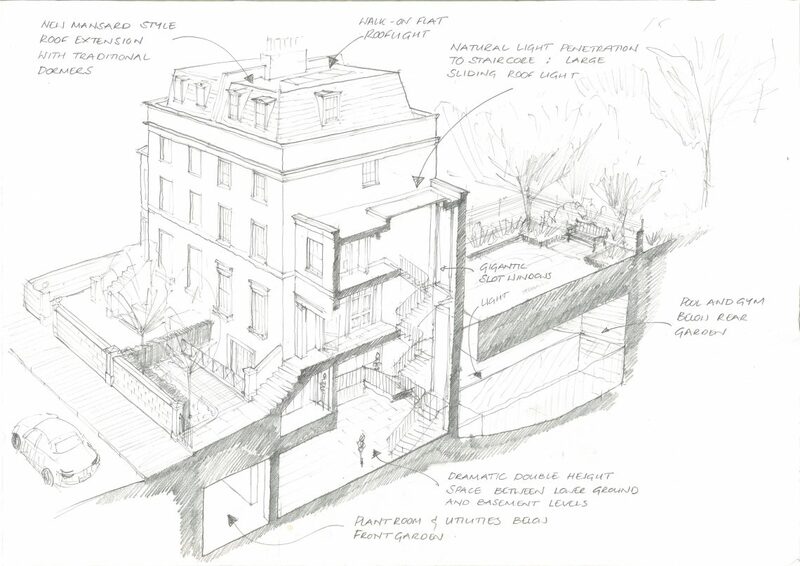 Basement work on this scale involves substantial engineering challenges. The entire building was propped up ‘on stilts’ whilst excavations continued below. As the Basement extension is below the water table, the surrounding ground was injected with resins to hold back the ground water whilst a waterproof concrete structure was formed. Once complete, the presence of the basement will be indiscernible, and the replacement topsoil will be deep enough to allow mature trees to grow in the garden once again. Nonetheless fresh air and daylight will penetrate from several points. It will provide all the necessities for a large busy family, including staff flat, children’s ‘den’, separate study areas, Plant Room, and the all-important giant Utility Room.